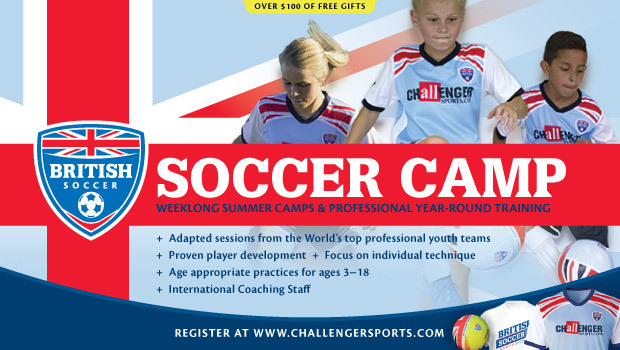 Once again, Alameda Soccer Club has partnered with Challenger Sports to offer a variety of soccer camps geared towards a wide range of ages and skill levels. Please take a look at the below opportunities for your children. All camp schedules, fees and registration can be found by clicking HERE. 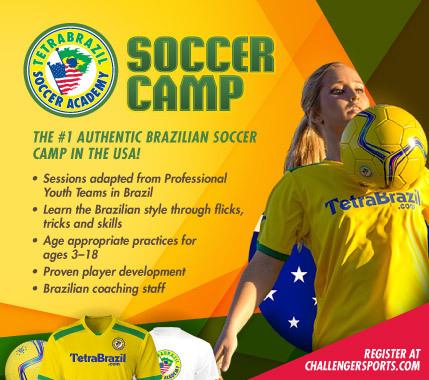 The TetraBrazil Camp combines traditional Brazilian technical practices with the flair, passion, and creativity of South American soccer. The TetraBrazil curriculum has been designed by an organization of professional soccer educators in Brazil to provide teams, coaches and players in North America with the same expert level of training received by the Professional Brazilian Clubs. Campers will warm up to samba music, learn Portuguese phrases and discover what it is like to grow up in a country where playing soccer is treated like a religion. Over the past 25 years Challenger Sports’ vast army of International coaches have helped hundreds of thousands of boys and girls learn, improve, master, and fall in love with the sport of soccer. The British Soccer Camp program will contain Challenger’s own brand of innovative practice, coached games, camp world cup, cultural education, character building, and Fun! Your professionally coached sessions typically include: Individual Foot Skills, Fakes, Moves and Turns, Freestyle Soccer, Technical & Tactical Instruction, Small-Sided Games, Daily World Cup Style Tournament, and Fantastic Cultural Experiences! This is our newest and most competitive level camp for players ages 10 – 18. A one week, 6 hour a day program that provides the skills, quickness of play, techniques, discipline and knowledge vital for the next generation of soccer superstars. Challenger Sports, highest qualified and most experienced coaches provide an inventive and motivational focus, mentoring and empowering players to take their game to the next level. In addition to an intense and high level focus on technical and tactical development, each player will receive one on one mentoring, a personalized player development plan and insights into what it takes to compete both mentally and physically at the highest level. Check us out on YouTube and see the attached flyer for more details. College Soccer Academy is holding a a girls College ID Camp at the So Cal Sports Complex in Oceanside, California, July 12th and 13th (Tues/Wed). There will be college coaches from California, Stanford, University of North Carolina, Washington State University, University of Washington, University of Utah, Loyola Marymount University, UC Santa Barbara, San Francisco State University, San Jose State University, University of San Francisco, University of New Mexico, University of Hawaii, Peninsula College…with more to be announced coaching and running the sessions. Each player will have the opportunity to be exposed to every coach in attendance. Sessions will be designed to allow players the opportunity to experience real college training environments. All participants will play in two 11 vs 11 games on Wednesday afternoon, in front of our star studded staff as well as other DI, DII, DIII College Coaches that have been invited to our event.